"Unbind him, and let him go..."
I just got the news that Benny Spellman, who (as I mentioned just recently) was 'one of the last remaining cornerstones of New Orleans R&B' died this past Friday, June 3rd. For over twenty years he had lived as a prisoner inside a body he could no longer control, and yet he remained positive and full of life. He was an inspiration to all who knew him. 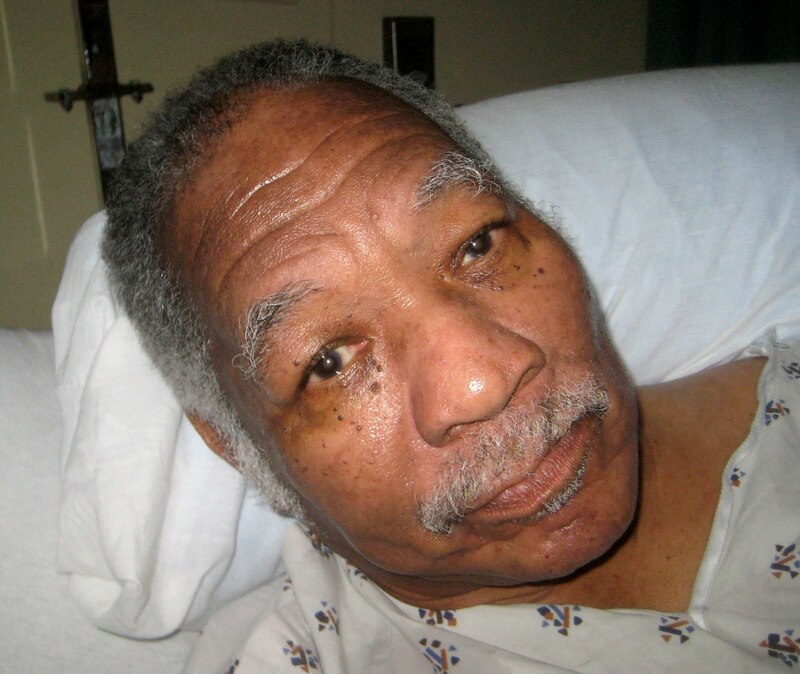 As you may know, I visited Benny in the Pensacola nursing home where he lived in 2009. I was in awe of him. He is free now. He is with God. Today's post just goes to show ya how, in so many ways, Allen Toussaint is like the Patron Saint of The "B" Side. 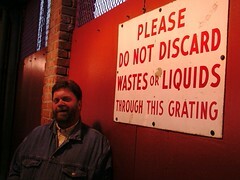 I mean, here's a guy who was just so GOOD that even his B sides crackled and sizzled... there were no "throw-away" songs. He just couldn't produce one. When Joe Banashak and Larry McKinley hired him as the arranger and producer for their new Minit label, at the infamous WYLD studios audition in January of 1960, they got more than they bargained for. As we've mentioned before, one of the first records he produced for them, Jessie Hill's Ooh Poo Pah Do (MINIT 607), just ate up the charts. Two other guys that passed the audition had already had releases on the label (MINIT 604 and 606) that went nowhere. Those guys, Ernie K-Doe and Benny Spellman, were always hanging around the studio waitin' for the next big thing. As Irma Thomas said in I Hear You Knockin', "They sang background on a lot of my records, and I did the same on theirs. It didn't seem like work then... it was just a whole lot of fun to me." Benny Spellman had come to New Orleans in 1959 when Huey Smith and the Clowns had a car accident in his home state of Florida, and he gave them a ride home. As legend has it, their first stop was at the fabled Dew Drop Inn, and when owner Frank Painia heard Spellman sit in with Edgar Blanchard and the Gondoliers, he hired him on the spot. 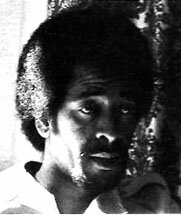 Huey also used him on a few 'Clowns' recordings at Ace Records before he struck out on his own, becoming quite the local smash. As Banashak remembers; "He was by far the most popular Rhythm & Blues artist in New Orleans. He always was working even when nobody else could find a job. 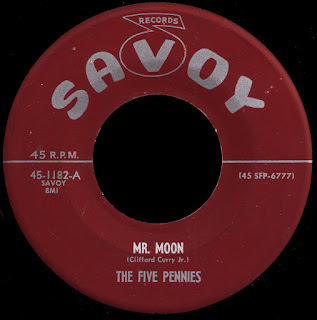 He had those teenagers mesmerized..."
When his next release on Minit (613) failed to hit, he began moonlighting at Ace, providing background vocals for people like Roland Stone. He was in the studio as usual, however, for Ernie K. Doe's next session. 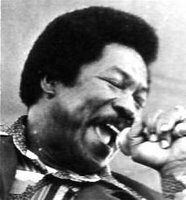 Toussaint grabbed him and had him lay down those deep baritone 'mother-in-law's that would propel K-Doe's record all the way to #1 on the pop charts in the spring of 1961. 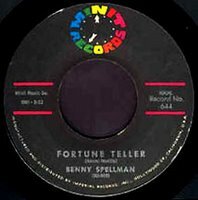 (Something Benny felt he never got enough credit for...) In typical Johnny Vincent fashion, he attempted to cash in by releasing Roland Stone's next Ace single "Roll On Big Wheel", to which Benny had contributed his baritone 'rrroll on's, under Benny's name. It didn't help. As Toussaint tells it, Spellman kept bugging him to come up with a big record for him too and, partly to shut him up, he came up with two of 'em. 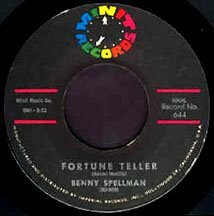 The great Lipstick Traces, (with it's deep 'don't leave me no more's) made it to #28 on the national R&B charts in the Summer of 1962 (it would also hit #28 when the O'Jays covered it three years later...), and the novelty B side, Fortune Teller, would go on to become a favorite in the UK, being covered by both the Stones and the Who. That's what I mean about Toussaint, not only was he the producer and arranger of all this stuff, he could write great songs like these seemingly at will. Truly amazing! 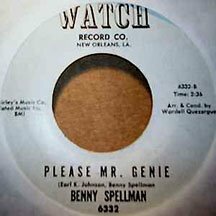 Benny's next two Minit releases failed to keep up the pace, and after Toussaint was drafted in 1963, he began working with Earl King on Joe Assunto's WATCH label. Two solid singles sold well locally, but that was about it. When Allen got his discharge from the Army in 1965, he was back working for Joe Banashak, on his new ALON label. Benny came back too. 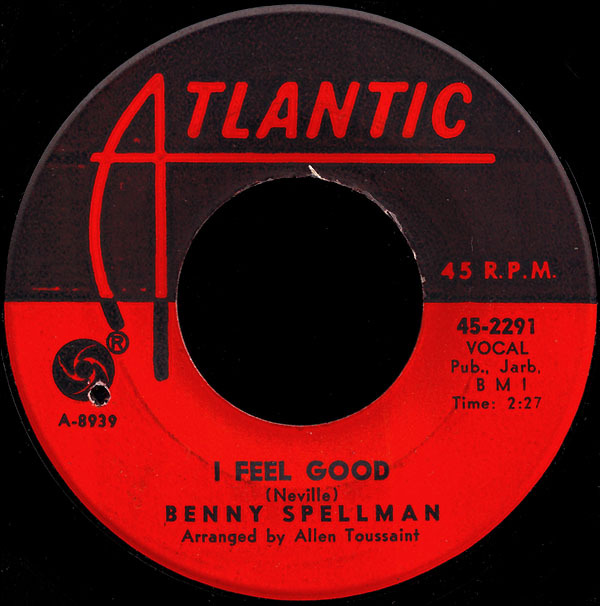 His second single for Alon was another incredible Toussaint two-sider, The Word Game b/w I Feel Good. 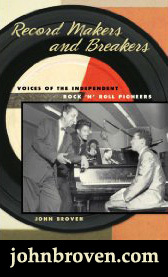 After the record started to make some noise down in Sugar Town it was picked up by Atlantic for national distribution. It bubbled under the Hot 100 for a while, but never did hit the charts. 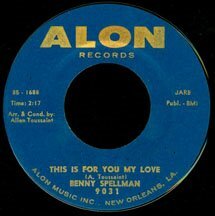 Two more Alon singles on Spellman died on the vine as well, and by 1966 Toussaint had left Banashak behind and formed "Sansu Enterprises" with the infamous Marshall Sehorn. 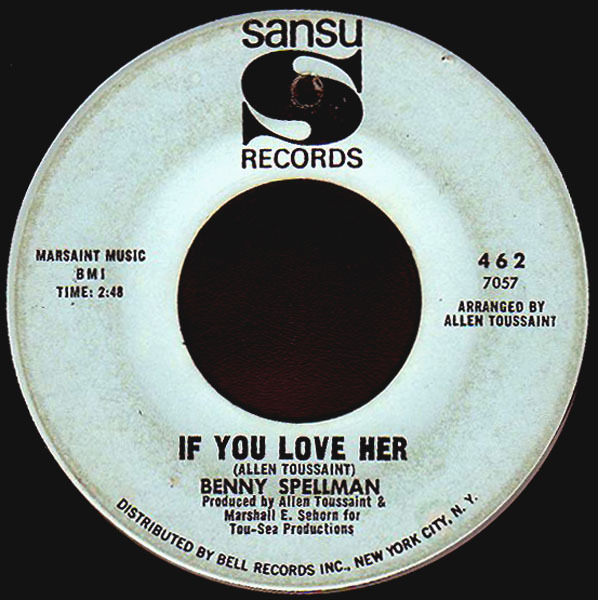 Sehorn had worked with Bobby Robinson up in New York, and it was his connections with Larry Utall's Bell Records that got their company off the ground. Benny Spellman apparently only recorded one more tune, Don't Give Up Love, on the local Mor Soul label. 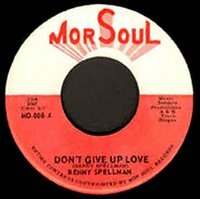 I don't know anything about the label, or even exactly when this single was released (it's not even listed in the Benny discography on Soulful Kinda Music). 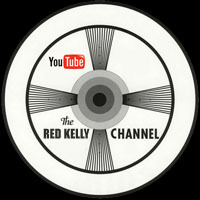 The scan comes courtesy of the lovely and talented Larry Grogan over at Funky 16 Corners. 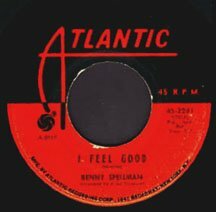 In 1968, Benny took a job in the promotion department at Budweiser, and threw in the towel on his career in music. He returned to New Orleans in the 1980s, and was performing again when he suffered a debilitating stroke towards the end of the decade. He's been living in his home town of Pensacola, Florida ever since.